Epicenter at 35 km (22 miles) E (90°) from Raoul Island, Kermadec Islands. On the exception of the manned Raoul station, all other islands are uninhabited. Epicenter 105 km (65 miles) ESE of Madang, New Guinea, PNG. Very deep hypocenter. Moderate depth and magnitude. Not dangerous. At a moderate depth and on top of the subduction zone. At least 100 km from the nearest islands. Epicenter almost on the same place than the Magnitude 7.1 2005 Banda Earthquake (depth 201 km). Nery near to Mount Serua, a small volcanic island. Close to the island of San Cristobal. Epicenter on top of the subduction zone approx. 20 km from Ghupuna. The earthquake informative page as published in the beginning can be found here. First pictures of totally devastated villages are appearing in Jakarta Post. It took almost 2 days before Indonesian Search and Rescue workers reached the Pagai Islands (which Earthquake Report does not understand !). The vast devastation of some shore villages is now confirmed with the first aerial pictures coming out. On the picture a Flattened village: The Jakarta Post photo shows a village flattened by Monday’s earthquake triggered tsunami on Pagai island, West Sumatra, on Wednesday. Rescuers battled rough seas Tuesday to reach remote Indonesian islands pounded by the three-meter tsunami that swept away homes, and killed dozens of people. After Monday’s quake and tsunami, many panicked residents fled to high ground and were too afraid to return home. Hundreds of wooden and bamboo homes were washed away on the island of Pagai, with water flooding crops and roads up to 600 yards (meters) inland. In Muntei Baru, a village on Silabu island, 80 percent of the houses were badly damaged. With few relief workers able to get to the hardest-hit islands – reachable only by a 12-hour boat ride – fishermen searched for the living and dead. Corpses lay unburied because there was not enough outside help to dig graves, according to the Mentawai district chief, Edison Salelo Baja. Aftershocks continue to rattle the greater Pagai Islands area. Aftershock east of Pulau Sipura, another Mentawai island. This is the first time since the major shock that the epicenter was that far north. Other major +6 quakes are possible because of the major movement of the plates. Nine Australians and a Japanese man were in the area aboard surf charter boat MV Southern Cross when the quake struck. Fears had been growing for the vessel, skippered by Australian Chris Scurrah and Japanese Akinori Fujita. But the men finally made contact with their Padang-based company Sumatran Surfariis (Surfariis) on Tuesday night. “They are now safe, they have been found,” staff member Yuli Rahmi told AAP. The men were now on land on the island of South Pagai, Ms Rahmi said. Earlier, humanitarian organisation SurfAid International had been coordinating a search for the vessel. New intermediate report on casualties : 113 people killed, 502 still missing. Yesterdays earthquake becomes more and more a catastrophe for the people and their goods on the North Pagai and South Pagai Islands. Medical teams and Search and Rescue teams have been sent to the islands (why so late ? ). 80 percent houses at Betumonga village have been destroyed. In September 2007, South Pagai was struck by and even bigger earthquake ! Why have the authorities not learned from the 2007 earthquake. It astonishes Earthquake-Report.com that no wave monitoring equipment was installed since then. Although the time lapse of the wave striking the islands only 15 minutes after the earthquake, a fast detection system might have saved the lives of many people. Wave height estimates from calculated models have been proved to underestimate the wave heights. Reuters report 101 people killed during the massive earthquake. At least 41 people are killed while 380 others are missing,a speaker of regional parliament of Kepulauan Mentawai regency, was quoted as saying. High tides have hindered the rescue work, preventing the rescuers from reaching the stricken area. Detikcom online news reported that the government has no equipment to monitor waves in Mentawai. A report said that the height of the waters reached 3 meters high in Silabu village at North Pagai Mentawai island, head of crisis center of Health Ministry named only Mujiharjo told Xinhua on Tuesday. Nine Australians and a Japanese man who were believed to be aboard the Southern Cross were missing on Tuesday. The missing group of surfers were on a traditional wooden boat, the Southern Cross, skippered by an Australian Chris Scurrah and Japanese Akinori Fujita. SurfAid, a charity set up a decade ago to help villagers in the Mentawai region, said the boat was believed to be close to the quake’s epicentre. A search and rescue mission for the Southern Cross had been launched, Jenkins said. “We do have increasingly worrying reports of quite high numbers of people who are missing in villages,” he said, adding that he hopes to have accurate information on the missing boat by Wednesday. Australia waited anxiously for news of its missing nationals. The remote Mentawai islands are popular with surfers searching for big waves and pristine beaches. Area is jolted by continuous aftershocks measuring up to M 5.3. Rescue teams found at least 4 bodies after a tsunami hit the islands. VIVAnews just reported 21 people confirmed killed, 240 still missing. REUTERS who is citing official sources is talking now about 40 people killed and 380 still missing. Earthquake-report.com fears that the dead toll will even rise further tomorrow. Soon it will be dark on the islands and we will have to wait another 12 hours before rescue teams can search again during daylight. At least nine Australian surfers are missing after a powerful undersea earthquake triggered a tsunami in a popular surfing area in Indonesia’s west. The Sumatran Surfariis charter boat company on Tuesday said it was still trying to contact its Southern Cross vessel 16 hours after the 7.7-magnitude quake hit the Mentawai Islands, west of Sumatra. “There is one boat that we haven’t been able to make contact with, the Southern Cross,” Yuli Rahmi, a staff member of the Padang-based company, told AAP. 3 people confirmed killed (based on local informants of VIVAnews). Hundreds are still missing and did not show up so far. Officials indicate that people might have fled in the forest and had not return to their villages because of fear for huge aftershocks and other tsunamis. It will take at least 1 more day before we will have reliable data on the total damage, injured and killed people. Damage has been reported on both North Pagai and even more on South Pagai. Most information comes from North Pagai, which was further away from the epicenter than South Pagai. Official emergency services only have certainty about 1 casualty but confirm that their data is far from complete. Pagai Islands are very scarcely populated and have only fishing villages and some surfer resorts. One of these resorts ‘Macaroni resort‘ was heavily damaged by the earthquake. Officials also said that they had no news of a number of ships that must have been floating in the earthquake epicenter area and near the islands. Officials are talking about waves of 1.2 meter. However eywitness reports from Australian surfers were telling stories of waves up to 3 meter high. Earthquake-report.com has stated from the very beginning that South Pagai was most at risk for this earthquake. We will report more news if it has a added value and when it is reliable. As feared from the very beginning by Earthquake-Report.com the earthquake ravage would be far greater than initially expected. For many hours their was no news of the villages of the Pagai Islands, but as daylight began reports were coming out of damaga and casulaties. Reuters just revealed that at least 160 people, mainly woman and children, were missing on one of the islands. A major 7.7-magnitude earthquake struck off the west coast of Indonesia on Monday, seismologists said, causing localized waves in the remote area. A tsunami warning was issued, and while it was later withdrawn and no casualties were confirmed, a group of Australian visitors reported that their boat was destroyed by a “wall of white water” crashing into a bay. The undersea quake hit Indonesia’s Kepulauan Mentawai region at 9:42 pm at a shallow depth of 20.6 kilometers, the US Geological Survey said. Mudjiharto, the head of Health Ministry’s Crisis Center, told the Jakarta Globe that two locals from Sipora Island had been confirmed dead on Tuesday. There were also reports that 80 percent of the homes in two villages had been flattened. Australian surfers fled to the trees when a tsunami struck the Pagai islands. Australian surfers were carried more than 200m inland when a tsunami destroyed the boat they were on off the Indonesian island of Pagai. The three-metre high tsunami destroyed the charter boat, though the 15 people aboard managed to survive by clinging to floating objects. The group were then forced to climb trees to avoid more large waves coming inland after a major 7.5-magnitude earthquake, Nine News reported. We have been able to get some new information from VIVAnews a local Indonesian newspaper. Although the story is far from complete, residents on the islands are starting to tell the story. A local tsunami of 1 to 1.5 meter high has destroyed a uncertain number of houses. At least 2 people died and 1 is missing on some islands in South Pagai, after the earthquake struck in the Mentawai Islands on Monday. The first information from the islands was (not surprisingly) disclosed to Australia’s NINE news by a number of surfers who were on a boat in the vicinity of the islands. Suddenly and shortly after the earthquake struck, a wall of water of nearly 3 meter high was rolling to the coast. 2 more aftershocks. One of M 4.9 at 22:10 UTC and another one of M 6.2 a couple of minutes ago at 22:59 UTC. After analyzing satellite pictures we assume that the most important inhabited village is located at the northern side of South Pagai. This location has not been directly hit so far. On the satellite pictures we can see e limited number of modern buildings. Powerful M 6.1 aftershock strikes the same area. If the preliminary epicenter location is confirmed, this aftershock would be much nearer to the shores of Pagai South. Impressive seismograms from stations all over the world. 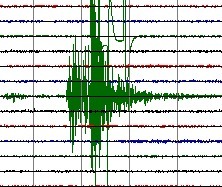 Awaiting more information on South Pagai, we hope our readers will take a look at the LIVE SEISMOGRAM OVERVIEW page from USGS. All the seismographs all over the world are coloring black from this massive earthquake. From Alaska to Antarctica, all seismographs picked up the waves from the Mentawai Islands quake. The waves did travel through the earth. USGS has increased the Magnitude of the earthquake to M 7.7. This makes this (shallow) earthquake one of the most powerful that occurred this year and even more powerful than the Haiti and the China earthquakes, both with huge numbers of casualties. Contrary to what most agencies are reporting at the moment, this earthquake will have shock-waves from at least VII MMI (very strong shaking). 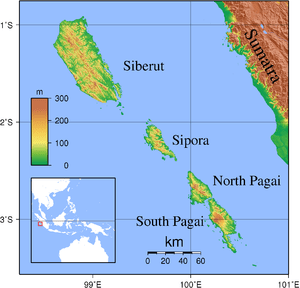 Local Indonesian Sumatra press has still no news from the Pagai islands. They indicate that the mainland did not experience a big earthquake which was previsioned from the beginning by the seismology agencies. We guess that it will take another 8 to 12 hours before mainland can make more inspections during daylight. Still no news from the Pagai Islands. Local Sumatra Padang press is mentioning 3 aftershocks measuring +5 Magnitudes. Many witnesses confirmed that NO tsunami was seen on the beaches. Local residents did ran on the streets with the first shock and some of them went immediately refueling their cars to be ready in case a new heavy shock with a tsunami treat would hit the coast. Mentawai islands : a surfer’s paradise. The Mentawai Islands are one of the most consistent surf destinations in the entire world. The power of southern Indian Ocean storms is turned by the prevailing SE trades towards these amazing islands and amplified. The result is surf that is remarkably consistent and of unsurpassed quality. During the southern hemisphere winter, (late April to early November) the Indian Ocean is an over-active, groundswell machine. A big number of surfer locations with connected holiday accommodation is present on the islands. Click on this link to see the locations of a specialized surfer’s website. No news from the islands which where the most hit. We maintain our RED earthquake level as we predict that the shaking would have been very strong on South Pagai. Luckily, this island is scarcely populated. The lack of modern cities with stone and concrete buildings can be the fortunate element in this massive earthquake. As far as we can see, most villages on the islands are rather primitive and have wooden houses. Lets hope that this earthquake will not come in our extensive list of “deadly earthquakes”. 15:44 UTC UPDATE : INDONESIAN GOVERNMENT LIFTS TSUNAMI ALARM. 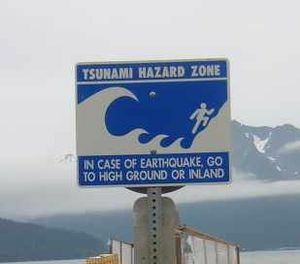 As expected by Earthquake-report.com, the Indonesian government has lifted the tsunami alarm quite soon. All simulations gave only limited tsunami waves on nearby islands which have been reached soon after the first very heavy shock. The Mentawai Islands lie above tha Sunda megathrust, a seismically active zone responsible for many great earthquakes. This megathrust runs along the southwestern side of Sumatra island, forming the interface between the Eurasian Plate and Indo-Australian Plate. Earthquake and tsunami activity has been high since the 2004 Indian Ocean earthquake. In 1833, the region was hit with an earthquake possibly similar in size to the 2004 Indian Ocean Earthquake and also another large one in 1797. Earthquake-report.com fears that the dead toll will even rise further tomorrow. Soon it will be dark on the islands and we will have to wait another 12 hours before rescue teams can search again during daylight. USGS has increased the Magnitude of the earthquake to M 7.7. This makes this (shallow) earthquake one of the most powerful that occurred this year and even more powerful than the Haiti and the China earthquakes, both with huge numbers of casualties. Contrary to what most agencies are reporting at the moment, this earthquake will have shock-waves from at least VII MMI (very strong shaking). Luckily the epicenter of the quake has been confirmed about 30 km out of the coast of southern Pangai. Local Indonesian Sumatra press has still no news from the Pagai islands. They indicate that the mainland did not experience a big earthquake which was previsioned from the beginning by the seismology agencies. Filed under: Aftershocks, Damaging earthquakes, Dangerous earthquakes, Earthquakes with injured people, M +5 quakes, M +6 quakes, M +7 quakes, Tsunami | Tagged: earthquake, Indonesia, Mentawai Islands earthquake, Mentawai Islands magnitude, Moment magnitude scale, Pacific Tsunami Warning Center, Sumatra, tsunami |	Comments Off on Indonesia massive M 7.5 earthquake – USGS increases Magnitude to 7.7! No news from the islands which where the most hit so far. We maintain our RED earthquake level as we predict that the shaking would have been very strong on South Pagai. Luckily, this island is scarcely populated. The lack of modern cities with stone and concrete buildings can be the fortunate element in this massive earthquakes. As far as we can see, most villages on the islands are rather primitive and have wooden houses. Lets hope that this earthquake will not come in our extensive list of “deadly earthquakes”. We will have to anxiously wait until reports from the islands are coming in. Pagai island will have experienced a STRONG to VERY STRONG shaking of VII to VIII Modified Mercalli. USGS has no demographic data on Pagai. Sumatra mainland will be escaping the heaviest shocks of this earthquake as only IV will be experienced in the nearest towns of the island. Padang with 840,000 inhabitants and Bengkulu with 310,000 inhabitants will be rather safe. Following the demographic data from GDACS it is expected that 1,817 people live in an radius of 50 km around the epicenter. 23,877 in a radius of 100 km and 413,617 in a radius of 200 km. This data is preliminary as the exact location of the epicenter has still to be calculated. Pagai is part of the Mentawai Islands. 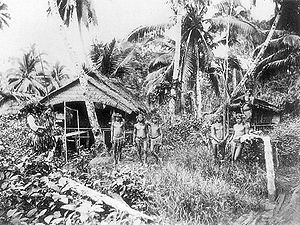 All Mentawai Islands had a sensus count of 38,300 inhabitants.